Let your summertime begin now with golden sunshine, pineapple tropical smoothies, mouthwatering melons, and the hammock under the palm tree on the warm beach. You can enjoy the hammock on your own. Or if you’re thinking of sharing great experience together with the one you love, there is no better choice but Yes4All Double Ultra Light Nylon Hammock will please you two. Hammock Dimensions & Weights: 102” L x 78” W & 19 oz, giving one the luxury of having more space and enough space for two people. 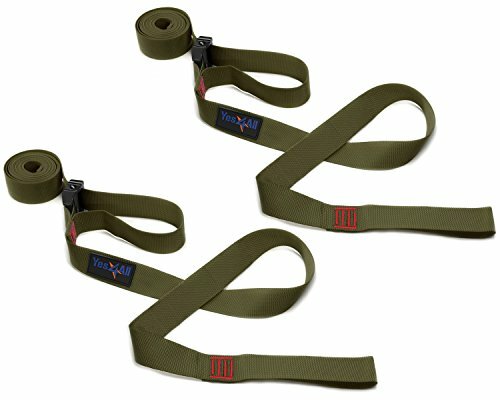 Note: There are two kinds available - Hammock WITH tree straps and with NO tree straps for your preference. If you have any questions about this product by Yes4All, contact us by completing and submitting the form below. If you are looking for a specif part number, please include it with your message.